Lough Key has been home to communities of humans for millennia, as a body of water it has functioned as a place of refuge and contemplation, as a trade route and economy, as a site for recreation and stability. The ecology of this body of water can be seen as a site of constant renewal, a waterway of connectivity between manmade and naturally occurring parcels of land dotted throughout the surface of the waters. In the communities that continue to live in the vicinity of this watery world, Lough Key commands huge, almost visceral, affection as a repository of memory, of time passed in aquatic suspension, as an intense emotional mirror of celestial and temporal bodies. The constant movement of the water, its undercurrents and surface tensions create a hypnotic dream world of interconnected realms of the states of water, as vapour, as liquid, as solid. 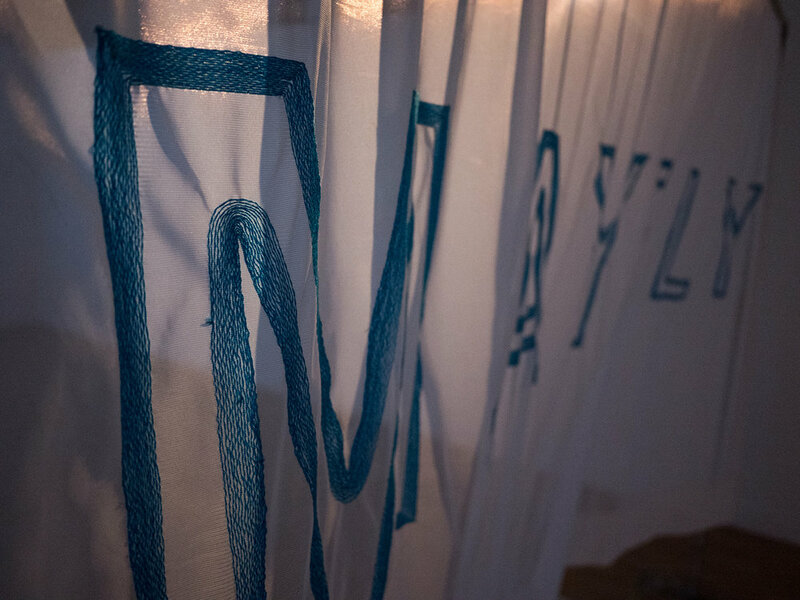 For this years’ iteration of the Park Project, commissioned artist Anna Macleod chose to work in collaboration with Boyle based artist Padraig Cunningham. 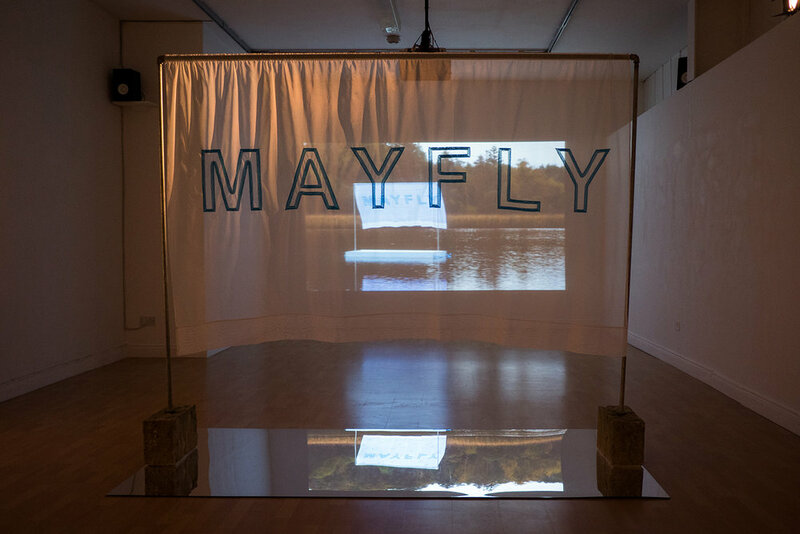 They worked with community members to create a portrait of Lough Key as a time-scape through the life cycle of the Mayfly ( order: Ephemeroptera) from the Greek, meaning ‘living a day’. These aquatic insects are seen all over the world in clean freshwater habitats, their lifecycle from larval, nymph and adult growth are temperature dependant and as such, function as an indicator species for climate change and environmental health. The importance of the Mayfly to the ecosystem and economic life of the Lough cannot be underestimated. Fishing is the major economy and recreational activity here today. 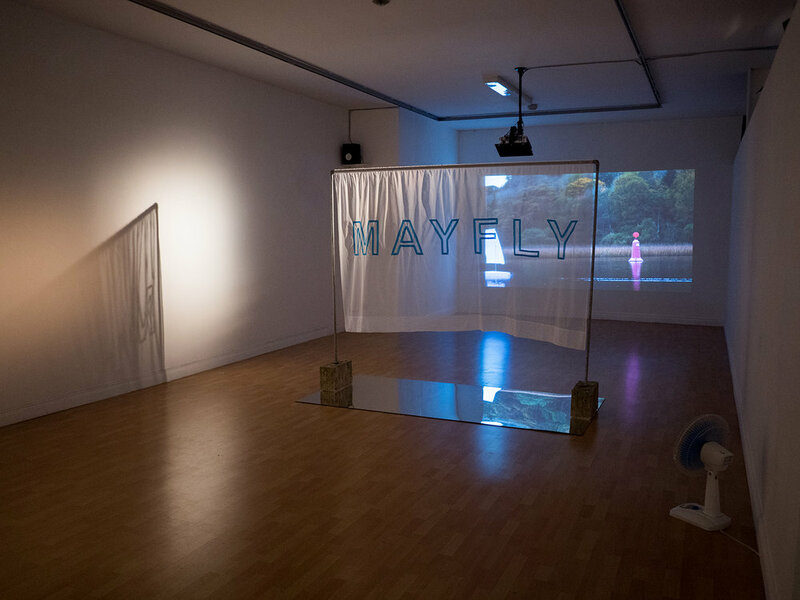 ‘A Portrait : Lough Key ‘installation at Roscommon Art Centre explores the motif of the Mayfly as a portal to the complex reflective upside down worlds of this body of water, a delicate and vulnerable world of domesticity, constant flux and potential. With many thanks to Paul Wynn, Colm Walsh, Damien Walsh and Danny Shanley of Lough Key Boat Tours. Field underwater recordings with kind permission from Ciarán MacAoidh. 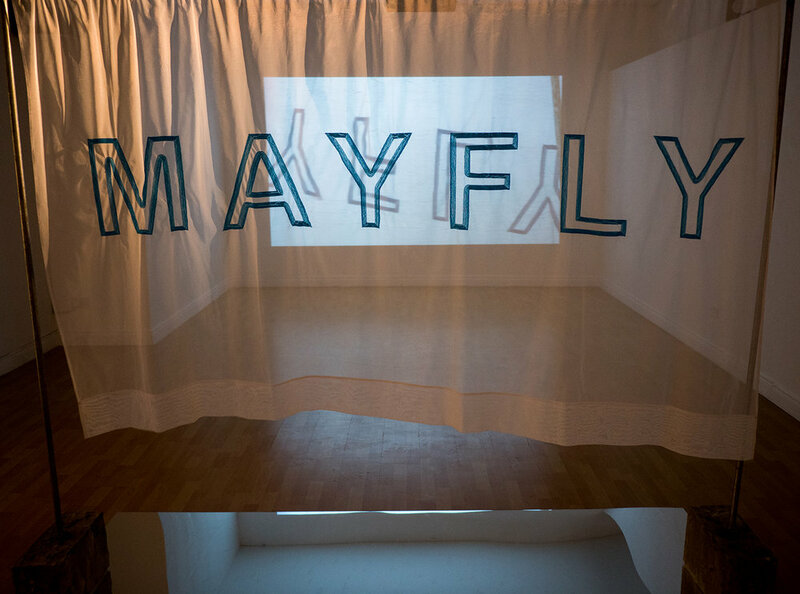 Text ‘Speculations on a Raft’ by Joanne Laws. 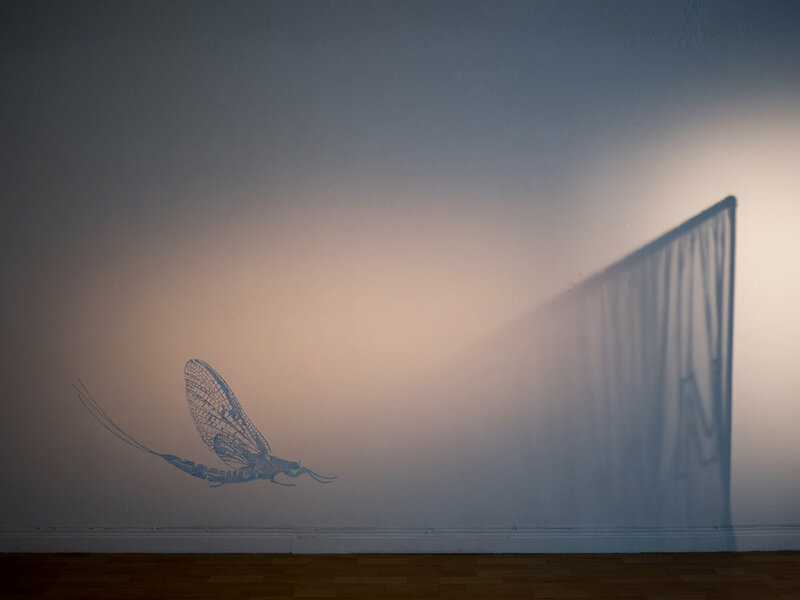 Roscommon Visual Arts Writer in Residence 2017.